This will be my first review blog on gadgets and I am fully aware that there are already a lot of tech review blogs and websites out there. So what made me think to start another one? I want my review to be more personal. I will only review gadget that I actually use. I want to tell you my story after buying the gadget. No techie specs, benchmarks, no marketing bullshits or whatsoever. OK let start. My review is divided in three (3) parts: The Good stuff, the bad experience and my verdict. 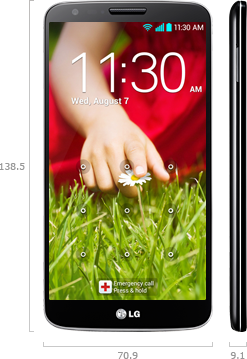 Just this week LG Philippines released LG G2, their next flagship smartphone. You can read all about its super specs here. I just sold my HTC One last week and when I learned about LG G2 news, I decided to buy one for myself for personal use. After few days of using it, here is my take on this phone. There are a lot of changes in iOS 7 and one of not so obvious that left me scratching my head is where the heck spotlight search is?. Previously you can have it by swiping left from the main screen but with iOS 7 it is totally different. Instead of swiping left, you have to swipe down on any home screen. Do not swipe down from the top edge because this will display the notification center instead. To be sure you can swipe down from the center of the home screen to show the search field. If your iDevice's iMessage is using your email address instead of your number and your number is disabled or greyed out on the list where you can be reached out then try this quick fix. 1. Go to Settings > Messages and then toggle off iMessage. 2. Toggle iMessage on and wait to be activated. 3. When already activated, tap Send & Receive option. 4. Your number should be available now. Tap the number to enable. Thats it! you should be able to use your number now to send iMessages. Ofcourse we really can't expect any fresh released software to be zero bug and that includes iOS 7. However the reported bypass bug on iOS 7 lockscreen is a big one because it allows access to one's private photos. The bug was discovered by Jose Rodriguez and it requires just sequence of steps. Apple is well aware of the bug and they promised to fix it in their future software update. In the meantime, you can protect your iDevice by disabling the access to Control Center from the locksreen. To disable it, go to Settings > Control Center and Toggle off "Access on Lock Screen" as shown below. September 18. Apple released the newest major upgrade of their mobile operating system, the iOS 7. I've been dying to try this iOS version on my iPhone when it was still in beta but I can't because it will break my jailbroken iDevice. Fortunately, I already need to replace my aging iPad 2 so when I decided to buy the iPad Mini I got a whole new reason to try iOS 7 on it and I did. Here are some of the notable experience I have so far with iOS 7. The new design. The new look of iOS 7 is definitely astonishing. It is flat and cool. I really like the simplicity of flat UI. Taking computer science in college was supposed to be just an interim course for me. I preferred to be a civil engineer during that time. But that was changed when I started working on computers and Microsoft Windows was one of the reason I fall in love with computers. I became an avid fan of Microsoft technology and I focused on getting Microsoft certifications to master Microsoft platforms. As years past, I witnessed how Microsoft became the software giant and unfortunately deteriorate to its current status. I feel they can't breakthrough mobile industry which ofcourse is dominated by Apple and Samsung. But with the recent Microsoft announcement, I feel things are about to change. 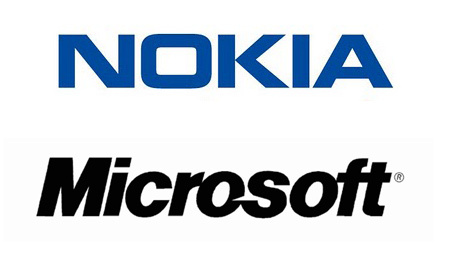 Microsoft Corporation and Nokia Corporation today announced that Microsoft will purchase substantially all of Nokia's Devices & Services business, license Nokia's patents, and license and use Nokia's mapping services. Under the terms of the agreement, Microsoft will pay a total transaction price of EUR 5.44 billion in cash. A very bold move indeed and it awakened the Microsoft fan in me. Read the full announcement here.